I wanted to start by acknowledging the life and loss of Brandon Russell. Brandon tragically passed at the finish line of Rock The Parkway last Saturday. I can only say that he left this world doing what he loved and that my heart goes out to everyone effected by this loss as I know there are many. You will be missed and remembered, Brandon. If you are able, please donate to the fund that will be used to start a memorial race in his honor. 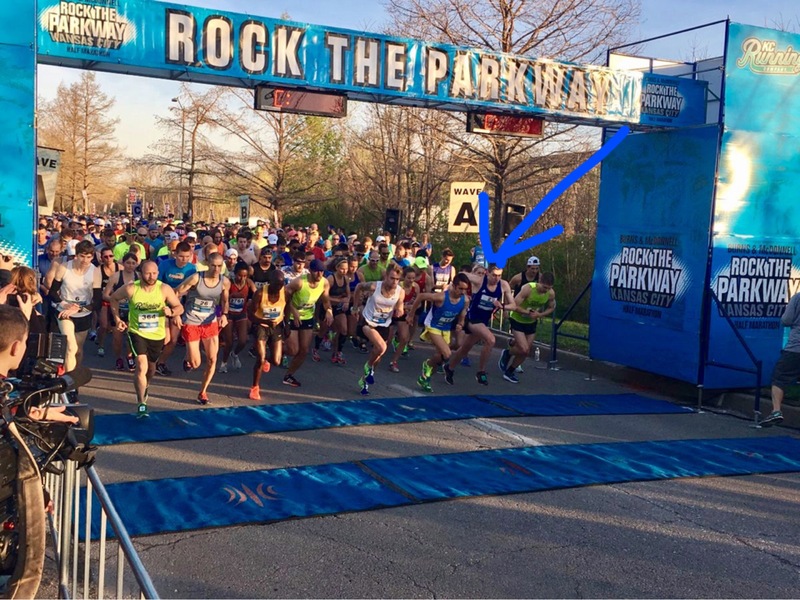 Rock the Parkway is one of my favorite races every year. The race starts out South at Burns and McDonnell (Steve’s new employer) and heads North up ward parkway towards loose park. Runners loop the park then head South toward the finish. Ward Parkway is iconic, beautiful and fast. Kelsey, Tara, me, Lindsey, Taylor before B2B! We came away with our W and I have to say, it was the most fun I have had racing in a long time. Needless to say, this took a toll on the week. I was pretty wrecked Monday. I did what I could through the week to recover, maintain mileage for St George 70.3 and get ready for Rock the Parkway. My body was starting to come around by Friday, but I couldn’t help but feel a bit uneasy about my preparation. Race morning, I ate oatmeal with blueberries and honey, drank 2 bottles of water and had one cup of coffee. On the way to the race, we stopped along the course to use the on course port o potties. Pro tip as the start line bathrooms are always soo busy! My sister and I warmed up together around the start. I then warmed up a bit with Kai, my favorite 10 year old who was also running the half!! That’s me to the left of Jeremy Hammer. 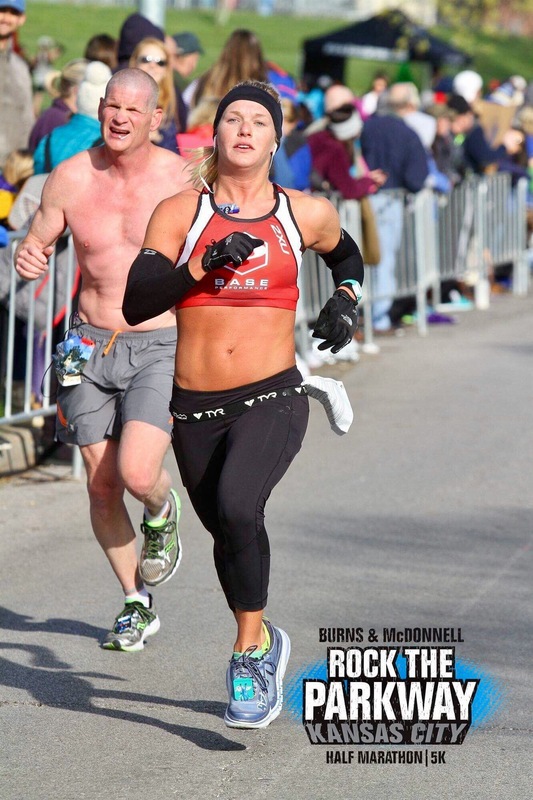 Great runner, friend and co owner of KC Endurance. Coming off of a weird week, I chose to not babysit my watch. I decided I would race and not be overcritical of the numbers, although prior to Brew to Brew, my goal had always been to break 1:30. The first 3-4 miles are a gradual/mellow climb. It is easy to push too much here as you do not immediately realize you are climbing. I knew this. We were off and I felt relaxed. My watch beeped. Mile 1. I looked down to see 6:30 which was faster than I wanted to go out. The next 2 miles I tried to dial it back- 6:44, 6:49. We were past the gradual hill at this point and onto a flatter portion of Ward Parkway. About mile 3, I found Lindsey and we started running together. We hit mile 4. – 6:37. So much for dialing it back. At this point, I decided that I had made my bed and I was going to lay in it. I took in a jel and didn’t let up on my effort. I looked ahead shortly after this point and and saw (in the far distance) the lead motorcycle leading the runners. I remember thinking it was pretty neat to still see them almost half way into the run. I thought back to highschool when I went out for cross country and developed stress fractures within the first month. I healed eventually, but wrote running off as something that was not meant for me. This thought fueled me while I ran as it often does. I am always grateful for the ability as well as whatever confidence I gained that allowed me to attempt running again later in my life. I can’t imagine life without it. Mile 5-8 take runners around Loose park. 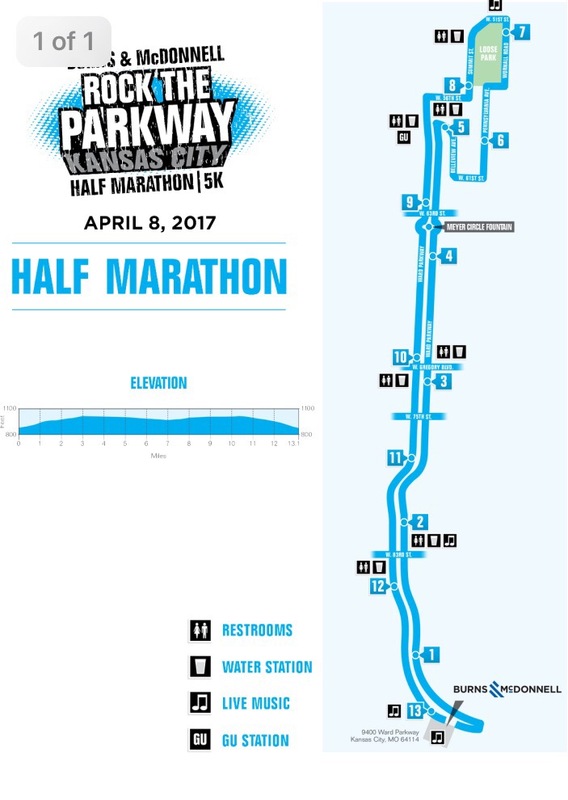 This is the half way point and also where you run into the only major hill on the course. There is always good energy here as many people are in the park to spectate. We rounded the park and settled into the final slope before the hill. My legs were more fatigued than I would’ve liked them to be at this point. We crested the hill. We found Liz at the top around mile 7. I remember Liz looked at me before we took off together. I could tell she was reading me and in that unspoken moment, she and I both knew that I was struggling more than I’d like to be. We all three ran together for a moment before Lindsey split off. We hit mile 8. 7:10. I didn’t panic as I accounted for the climb I’d finished, but still did not want to see numbers over 7. The road evened out and we pushed on. I hurt. A lot. I knew by mile 7 that the back half would be ugly and ugly it was. We hit mile 9- 7:14. No excuse. It was flat now. Legs were heavy and my feet hurt each time I hit the pavement. I focused on my tempo and keeping Liz close. I realized about here that we must’ve had a tailwind on the way out because we were sure running into a headwind on the way back. The next 3 miles were pretty miserable. 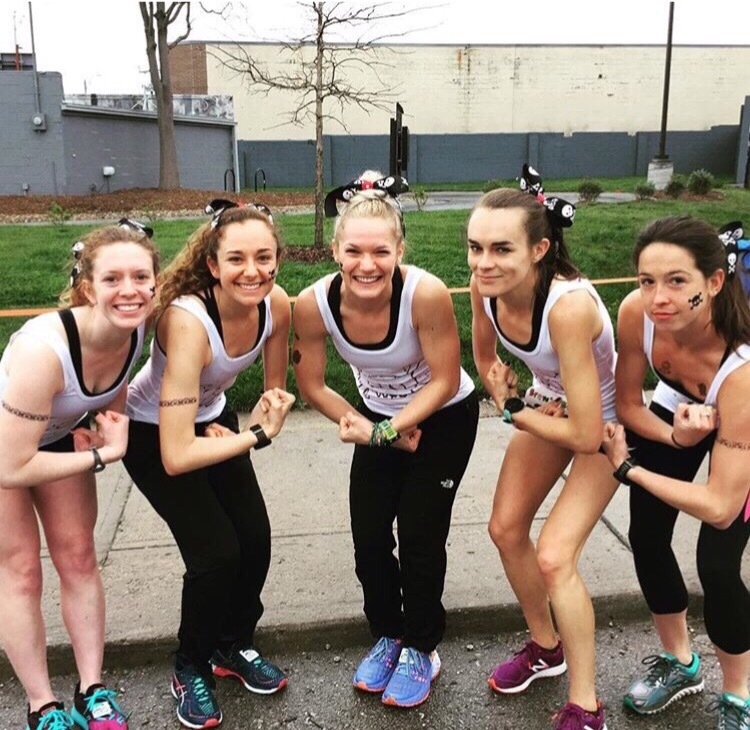 I searched for strength, but truthfully haven’t hurt this badly while racing in a long time… maybe ever. I kept telling myself to embrace it… to use it. To let the pain fuel me. It is always amazing to me how different hurt can feel. The pain of a half marathon is so unlike the deep grueling pain of an Ironman but so much stronger in ways. I kept my eyes on Liz and felt grateful that she was there. In the last few miles, I recognized that I should probably have taken in the second jel I had packed. However, I felt as though doing this would require more energy than I could exert as I was focusing what I had on the task at hand. Mile 11- 7:35. Ok. I officially blew up. Liz talked to me a few times. I don’t remember what she said, but I remember feeling the same way about responding as I did about my nutrition- I can’t. Just run. All things considered.. I am happy. I dropped time from last year. I was able to push through a bad place. I raced hard. I placed well (5th I learned. I was told 7th but two women ahead of me were racing masters- Incredible! Humbling!) I do wish I had broken 1:30, but I also do not think this past weekend was my best. I believe I am capable of more, and for that reason I will continue to pursue it! but then… I also remembered that this hindering factor is the very thing that makes me a great athlete. Yes you should be smart when you race. There is no glory in blowing up in the second half- I assure you. But… if I had to pick between being an athlete whose worst tendency is the need to hold themslef back vs an athlete that can’t kick it into gear… I’d choose the former every time. I hit a 20:45 at the 5K mark which is cool to see as my only recorded 5K was a 20:43 at the Parkville Turkey Troy 4 years ago (give me a break in a triathlete!) 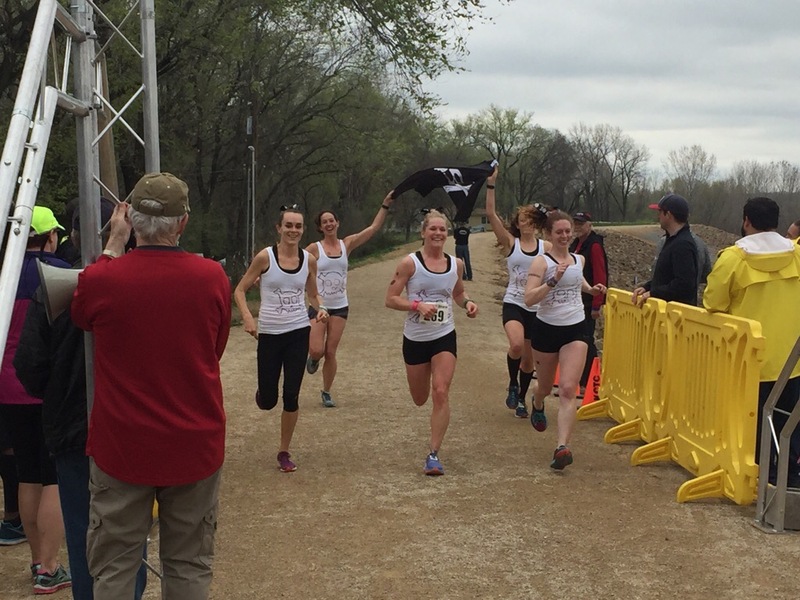 The one and only 10k I have ever ran was in 2015- I ran a 41:49 at the Great Plains 10k. I beat this at Brew to Brew unintentionally last weekend with a 40:34 on my second leg and then beat it again with a 41:32 at the 10k mark within my half this past weekend at RTPW. Thank you to Lindsey and Liz for being incredible friends to me! Thank you to my sister for inspiring me to pursue running as well as the betterment of myself each day. Thank you to Steve for more than I could ever fit into a blog. Thank you to my parents for the never ending love and support. 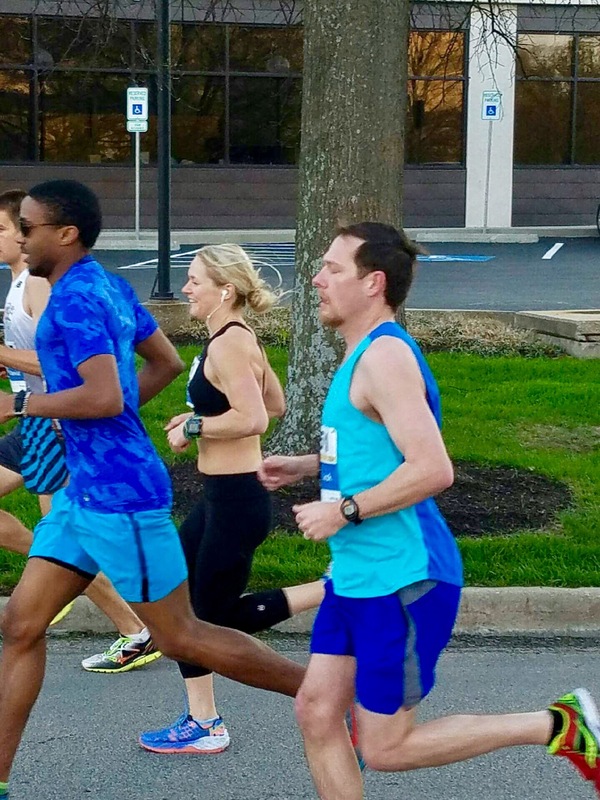 Thank you to KC Running Co for putting on such a well run event… and thank you for having an amazing medical staff that acted bravely and quickly in a time of need. Thank you to my sponsors- Panache, Base Performance, Rudy Project and Roka for the support across all platforms of racing! Thank you to all who take the time to read my race reports and to those who encourage and inspire me each day! Time to focus on getting my body and mind in gear for St George 70.3!! Hope to see many of you there! !